We all have them, right? I have the kind of personality that compels me to completely immerse myself into something I find that catches my imagination. I can become so focused on something that I hardly turn my mind to anything else. It can be that way with writing or reading, and it usually is, but lately I've rediscovered my love of cartoons. Okay, okay, to be honest, I've always loved cartoons. I'm really just a big kid. But my daughter loves anime, a thing which I have always avoided and disliked since the early Pokemon years (gods, that show drove me nuts). BUT, I will now admit, I have found a FEW anime series that I really enjoy, so I have spent far too much free-time catching up with series on Netflix. Much like what I choose to read or write, I am very specific in what I want in this form of entertainment, and I am only interested in Victorian Era style anime that has no ninjas or tiny-outfitted girls who have been 'blessed' shall we say in the chest department. 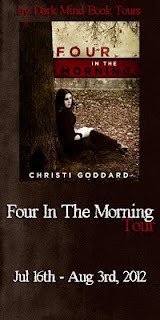 There is murder and conspiracies and complicated plots, all of which are right up my alley. The few anime I enjoy are based on the manga series of their namesakes, so I have had to learn how to read manga. It... takes some getting used to, reading backwards. How about you guys? What are your guilty pleasures? I grew fond of the anime NOIR about a school girl who wakes up without any memory save for the face of an assasin, her email address, and a feeling she is to be trusted. She finds two possessions in her room : a pocket watch and a gun. The pocket watch as it turns out was at the murder site of the assassin's parents. And the schoolgirl proves to be a better killer than the assassin. The girl is haunted by her lack of remorse for killing. The hit woman tells the girl that when they learn the secret of why she has the watch, she must kill her for she knows the hit woman's face. The girl says, "When we find out, I will let you." LOL. It really is a good mystery. And the reluctant, budding friendship between the two desperately lonely young women who grow to be sisters makes it worth enduring the creators' pandering to the need for ratings with the short skirts. Besides NOIR has the most innovative, rocking soundtrack I have heard on any anime. Roland, replied on your blog. And wow, I had no idea you were doing so well. Congrats!! 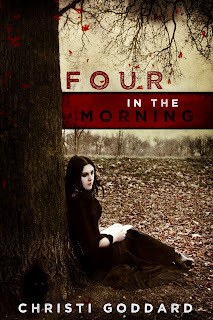 I haven't been to your blog in a long time but I'm adding "Four in the Morning" to my anticipatory purchase list! We love the anime on Netflix at my house! You're right though, some can be very bad, too. Netflix is the best thing since sliced bread, seriously. i know nothing of the anime stuff. have you watched avatar the last airbender (cartoon of course)??? amazingly brilliant! it takes a few episodes and then- WHA-BAM! the characters are just really, really moving. and buffy, supernatural, firefly, veronica mars, my so-called life, roswell, and "talent-reality" shows have eaten away too much of my time here on this little rock in space, but what can i say? i've loved every repeated moment of it! Buffy and Angel were two of the best things to happen to television. I enjoyed Firefly, but not as much. Whedon is amazing. I've not watched the other shows you mentioned, but I hear they are good. Victorian anime? DIdn't know such a thing existed - now I'm tempted too! Lola - I used to watch all sorts of sci-fi/fantasy shows on television, but I gave up on TV when they cancelled Angel for no good reason. But Netflix has brought me to a couple new shows I would have missed otherwise. And thanks regarding the book! Lisa - My mom and sisters love that show, but I've not watched it yet. I hear it's pretty good. New shows are hard. I have watched a few and Grimm seems to be the only one that I care about. David Greenwalt (one of the producers of Angel. I think he was a producer)works on Grimm. Interesting, and sort of Buffy/Angelish, which were the best shows on TV so it's hard to find anything new. I've watched some anime and find it interesting. I love cartoons too! And not the new ones, but like Looney Tunes. My guilty pleasure is reading in bed. Late. And reality TV. I love eating anything with butter. So bad! I love watching The Bachelor....I know I know....so bad. I always disliked Japanese animation and Sailor Moon and all that anime stuff where the characters are written by Asian writers/animators but don't even look Asian. But ever since a friend introduced me to "Spirited Away" and"Howl's Moving Castle," I've been more open-minded - there is some beautiful artwork and terrific stories there! Christine - I quit cable in 2005 since I didn't see anything worth paying a monthly cable bill for. I fully agree that Buffy/Angel was some of the best television ever. I own all seasons of both shows. Elana - I used to live for Looney Tunes, the Animaniacs, Muppet Babies, and a few others. Penname Pauline - I will always call you that. And I love butter, as my thighs will testify. Aubrie - I've never watched reality television, but I hear those shows are popular. Julie - Those are actually the movies that got me watching anime. My kids loved Spirited Away, and I went to watch it on Netflix and they didn't have it. But they offered Howl's Moving Castle and I was blown away at how beautiful it was. That led to clicking to other things, and it takes some digging and a lot of wikipedia, but I have found some things that are really amazing.